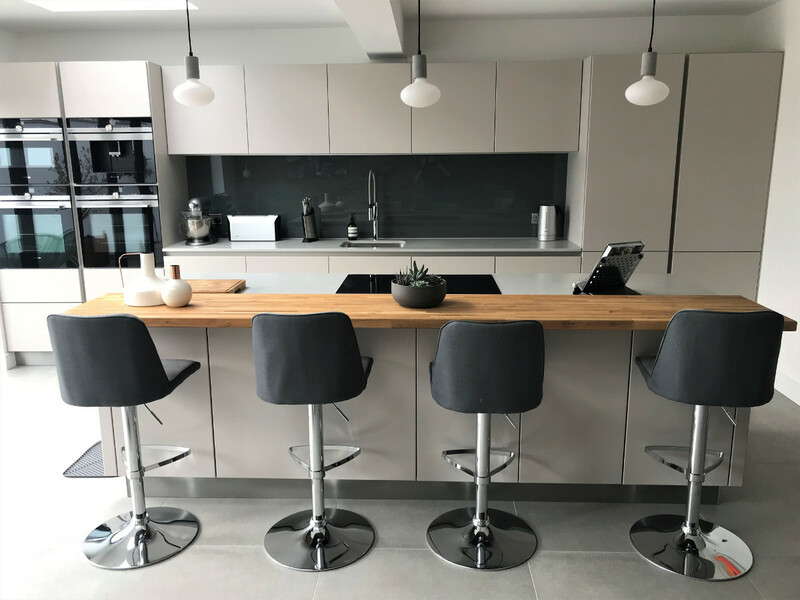 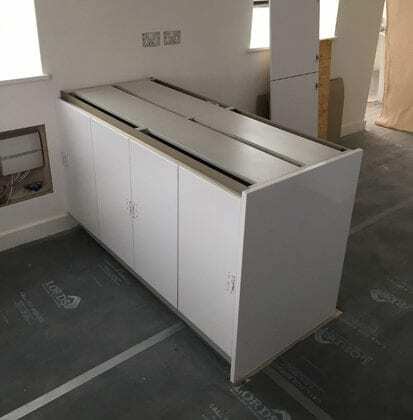 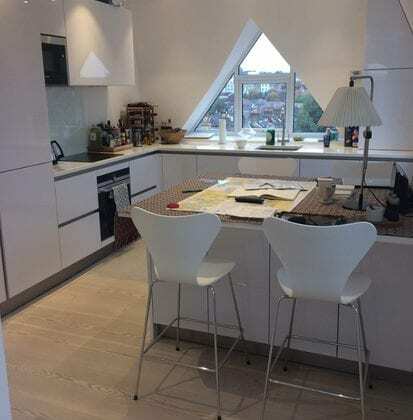 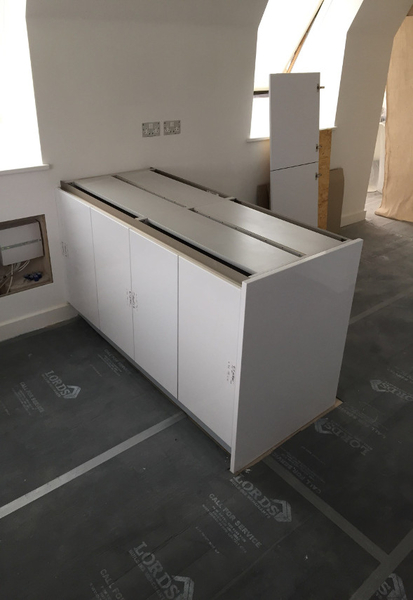 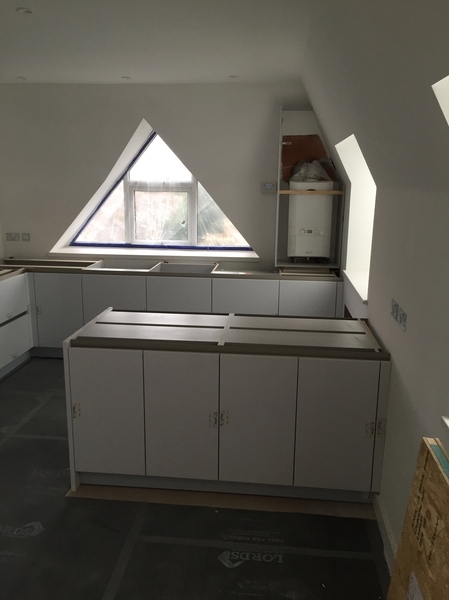 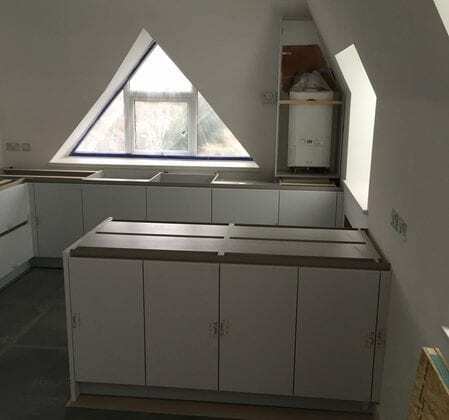 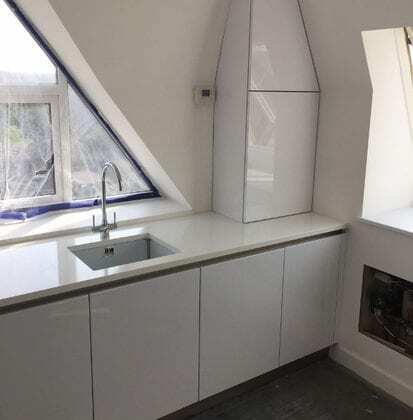 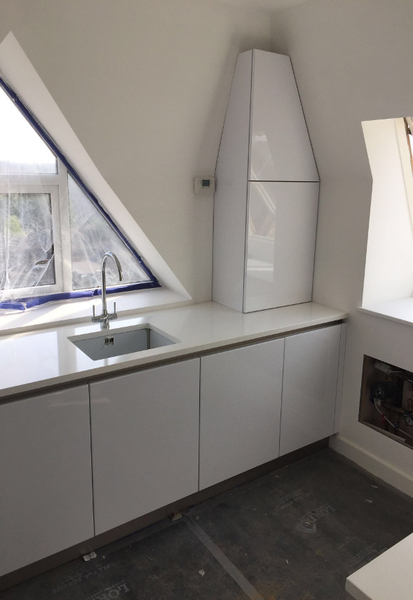 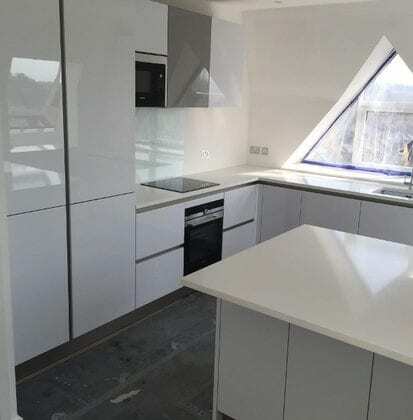 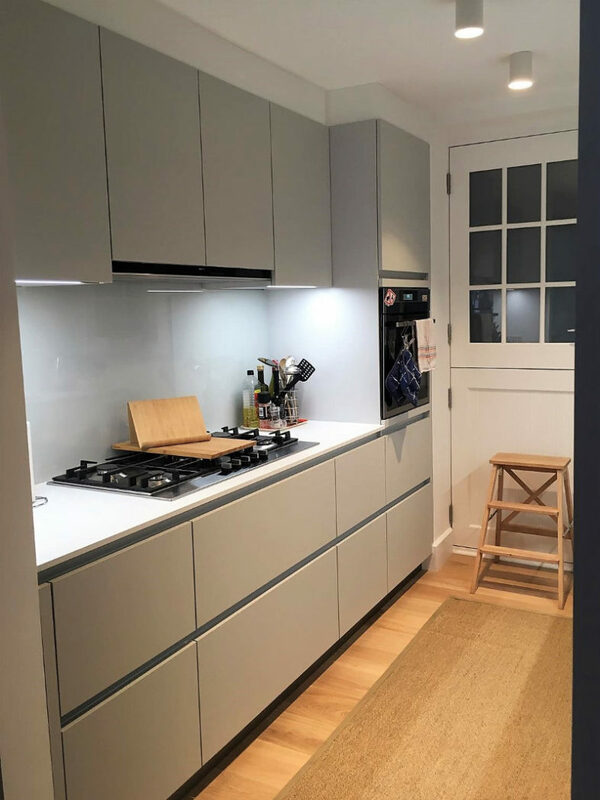 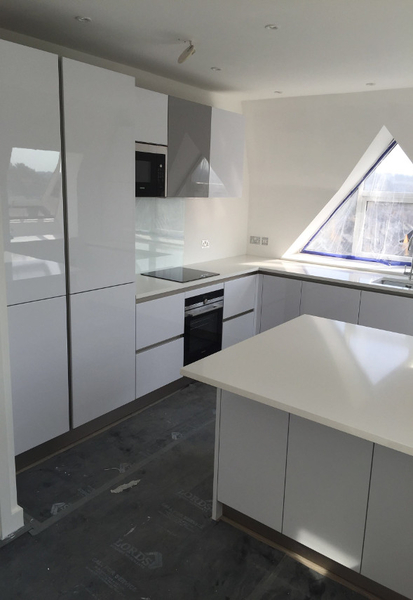 Sloped, angled ceilings are no problem if you have the skills when fitting kitchens, so a big thank you to our fitter Deivis for sending these superb images of one of our very recent installations in South West London. 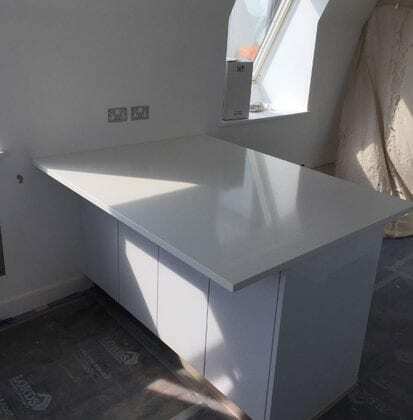 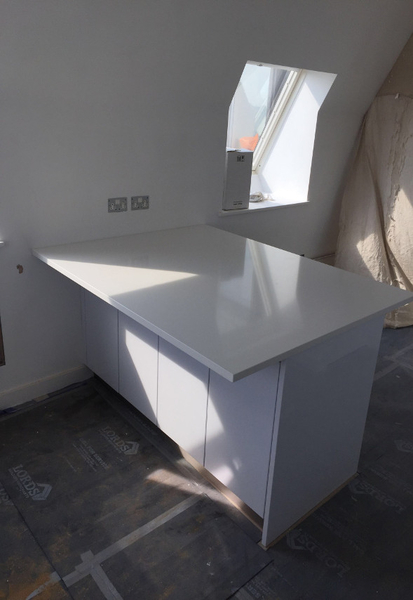 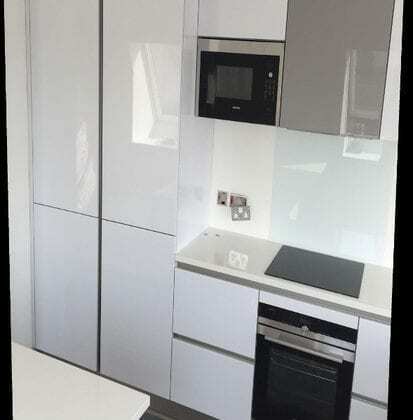 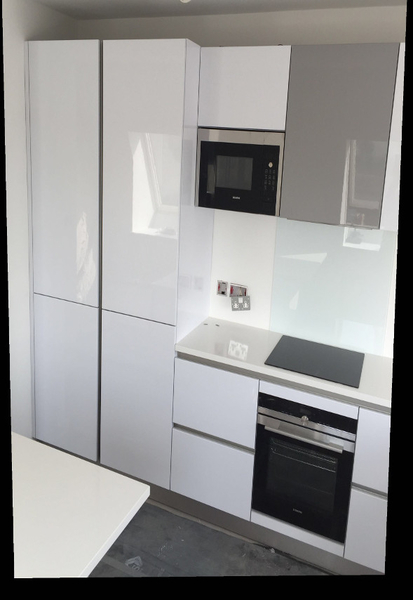 The kitchen is from our Next125 range and is Polar white high gloss lacquered finish.The worktop is Quartz Nuevo white, 30 mm thickness with chamfered edging. 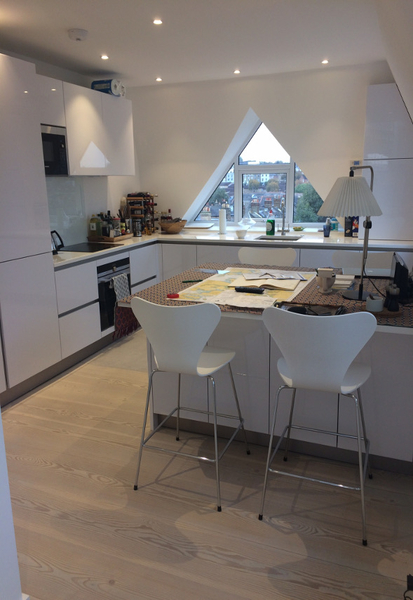 The island is 1685 mm in length and allows seating for four people.